Dondorf produced this fine chromolithographed pack for Gumprich & Strauss in Batavia, Java, now Jakarta, in which the four Aces illustrate scenes from the former Dutch East Indies during the colonial period. 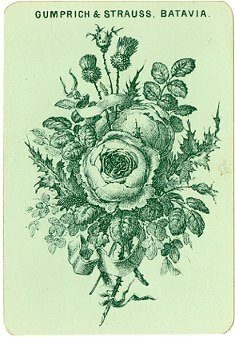 The pack was published to commemorate the second marriage of King William III with Princess Emma of Waldeck-Pyrmont, on January 7, 1879. The Kings and Queens are members of the Dutch Royal Family. 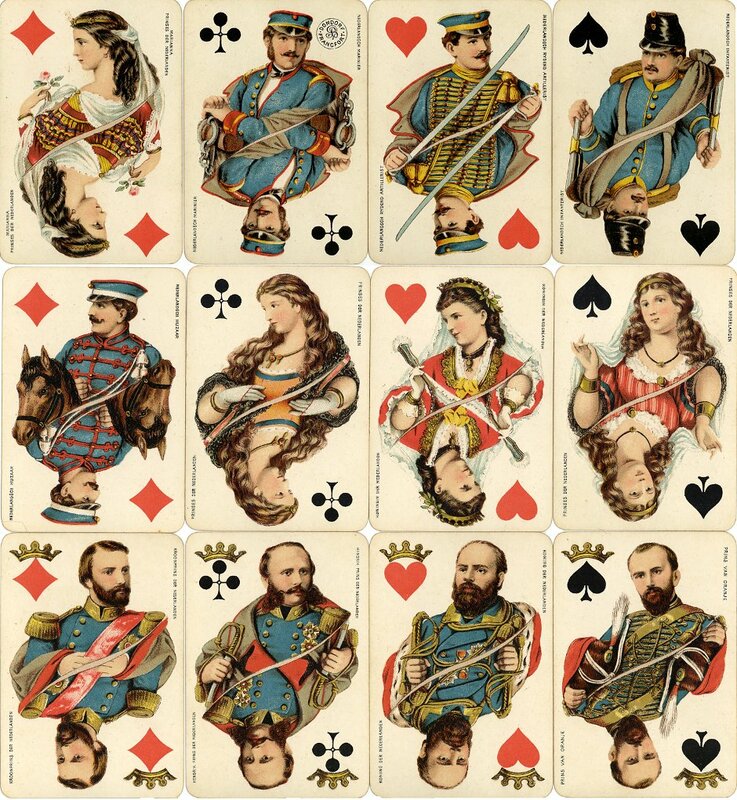 The four Jacks are Dutch soldiers (Hearts = artillery, Diamonds = cavalry, Spades = infantry, Clubs = Marines). 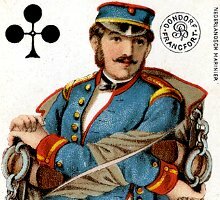 The Jack of Clubs has a small Dondorf logo. The deck continued to be published into the early 1930s with small indices (A, K, D, B) added in c.1910.